Grain: Fine (0-1.7 mm) Packaging: 20 lb Bulk Bag Our premium, 100% pure Minera Dead Sea Salt has not been bleached, refined or mineral depleted. Certified 100% authentic, pure and natural they are the same salts as used in spas and treatment centers around the Dead Sea in Israel. Dead Sea Salt includes essential minerals such as Magnesium, Bromide, Iodine, Potassium, Sulfur, Calcium, Sodium and Zinc and many more. Adding Dead Sea Salts to your bath helps to soothe and cleanse the skin while relieving tired and sore muscles. 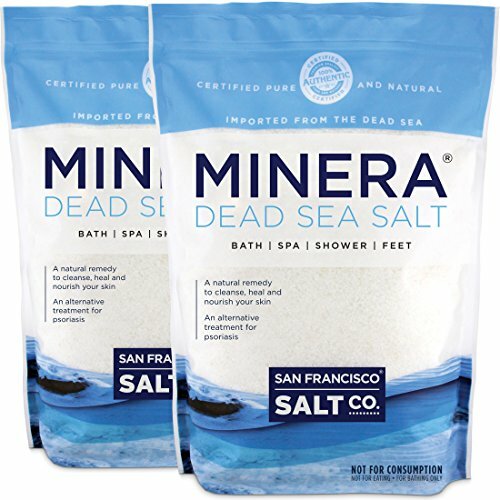 Minera Dead Sea Salts from the San Francisco Salt Company? 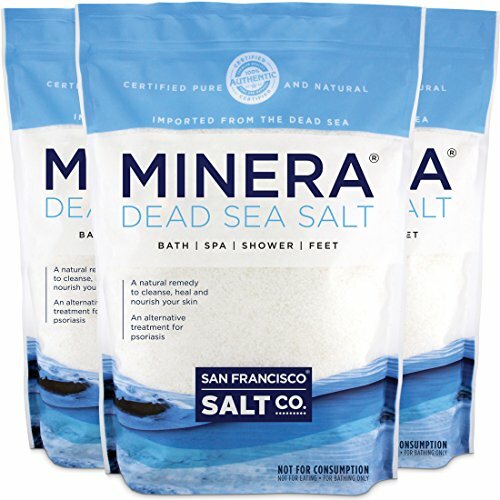 We have been importing genuine Dead Sea salts since 2002 and are now one of the largest and most trusted suppliers of Dead Sea Salts in the U.S.A. Why do my Dead Sea salts have a scent & contain small inorganic specs? 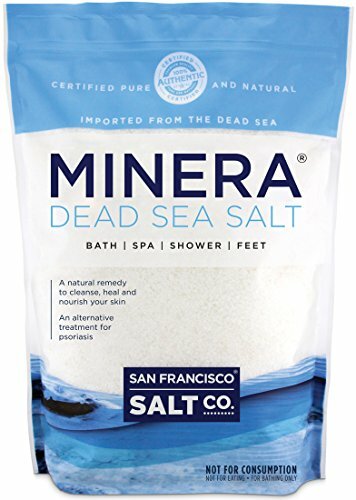 The high concentration of minerals in the Dead Sea is what gives Minera Dead Sea salts their unique scent. 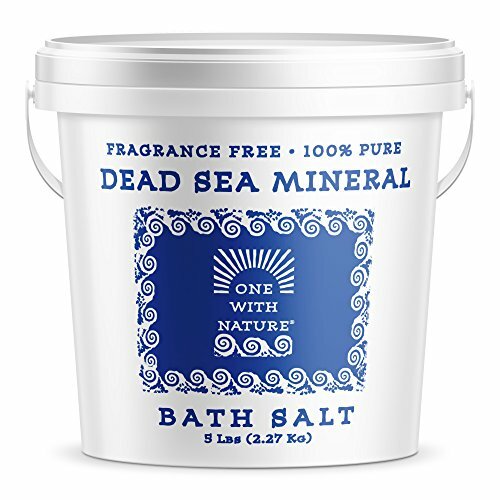 Actually, the best way to tell you have pure dead sea salts is from their strong mineral scent. The small inorganic specs you may see are natural earth elements, that like the mineral scent, are characteristics of genuine Dead Sea Salts and a good way to tell you are receiving Dead Sea Salts as nature intended them to be. Due to its unique composition of minerals, the Dead Sea has become famous for its therapeutic properties. People have traveled to its shores for centuries to soak in the salty, majestic waters. It's filled with healing elements that occur naturally in our bodies which are often lost as we go about our busy lifestyles. Soaking in water enriched with salt from the Dead Sea is known to have amazing rejuvenating benefits for the skin! Add a few drops of essential oil to your bath for the ultimate relaxation experience! The Dead Sea contains 33% salt and an abundance of magnesium and other essential skin minerals. Research has shown that patients with psoriasis who bathed for an hour a day in the Dead Sea improved by up to 88 per cent. 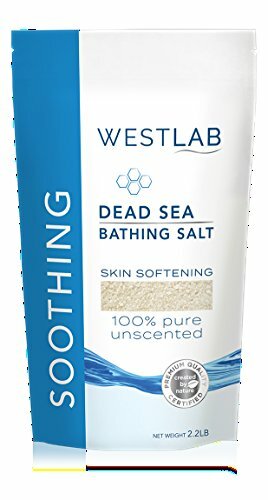 Westlab are delighted to bring these minerals of the Dead Sea Salt to your bath.Westlab Genuine Dead Sea Salts are unrefined and cleaned in a natural, chemical-free way, ensuring a truly high grade, natural product. Unlike many other regular bathing salts, Westlab Salts contain absolutely no additives, just pure natural goodness in high quantities. Packed with essential skin minerals, including between 31% and 35% of wonder mineral Magnesium, Westlab Dead Sea Salts help relax tired and aching muscles, replenish essential minerals and support natural skin health.Magnesium: Helps soothe, protect, balance and repair the skin.Calcium: Is an anti-oxidant and cell-renewing.Potassium: Balances the skin's moisture levels. CLEANSE, HEAL, TONE: The Dead Sea’s rich mineral salts deeply cleanse, heal and tone the skin while restoring the natural PH. 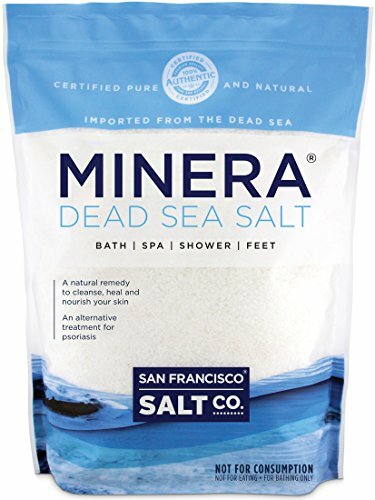 RELIEVE PSORIASIS, ECZEMA, AND ACNE: Dead Sea Mineral Salts have become famous for its many natural therapeutic ways to treat and care for problem skin, due to its rare composition of minerals at high concentrations. One With Nature Dead Sea Salts are harvested from the southern Dead Sea, where mineral content is at its highest. A SAFE, NATURAL ALTERNATIVE TO TREAT SKIN CONDITIONS: According to published studies, about 80%-90% of patients visiting the Dead Sea for treatment, experience significant improvement of their skin conditions. 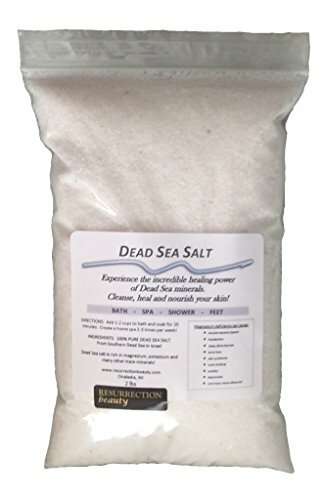 Looking for more Pure Dead Sea Salt similar ideas? Try to explore these searches: 3 Stone Tanzanite Bracelet, Catv Compression Crimp, and Mobile Whip. Look at latest related video about Pure Dead Sea Salt. Shopwizion.com is the smartest way for online shopping: compare prices of leading online shops for best deals around the web. 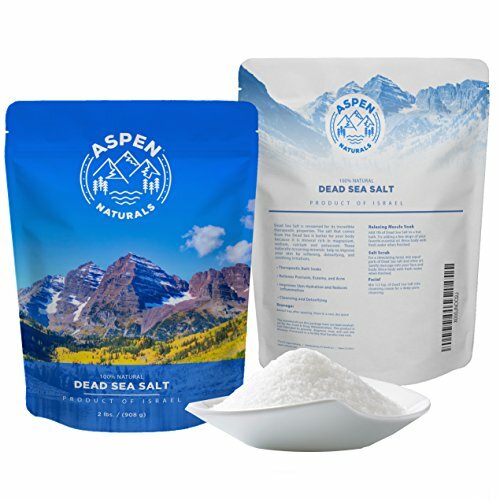 Don't miss TOP Pure Dead Sea Salt deals, updated daily.